The new school year is well underway and characterized by great excitement, a mature culture and a wealth of activity. 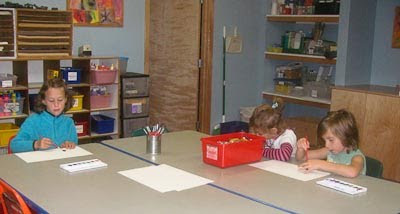 Everyone is happy to be back at school and enters into interactions and activities with focus and anticipation. The days feel very full and fun. 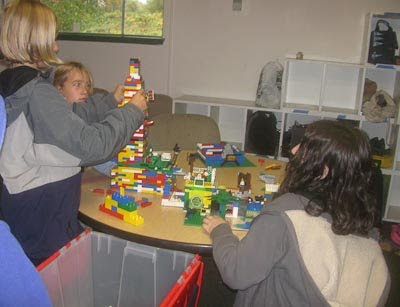 A subset of students initiated and joined in on a number of organized group activities and projects, to the extent that we had to create a weekly schedule just to make sure that activities wouldn't conflict and preclude students involved in more than one from doing all or most of the things they want to do. 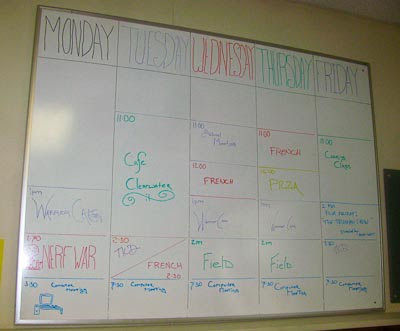 The master schedule looks like this, for now, with an addition of singing two mornings a week. In addition to these activities, a large number of students are involved in the cooking class which has created the Clearwater Cafe, the playwriting/acting class and a movement class inspired by student interest in martial arts. 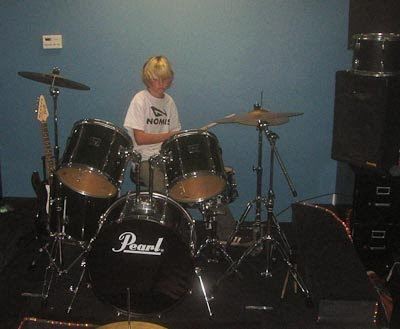 Individuals are also involved in guitar, drum, math and French classes, sewing and piano practice. The Clearwater Singers are rehearsing for a December concert. 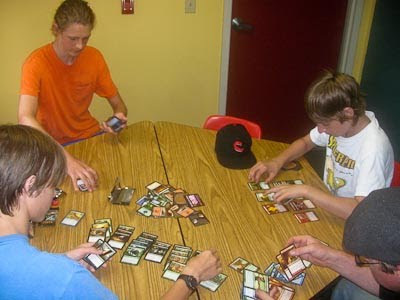 Magic, the Gathering and Settlers of Catan are played on a regular basis again this year. The list of specifics doesn't even begin to give a sense of the heart of Clearwater education--the daily work and rewards of creating and re-creating relationships with fellow students and staff members and making constant decisions about how to prioritize one's time, where to focus one's efforts and what it means to be responsible in any given situation. 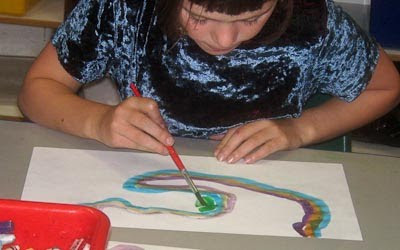 Students spend time in the art room on a daily or occasional basis. 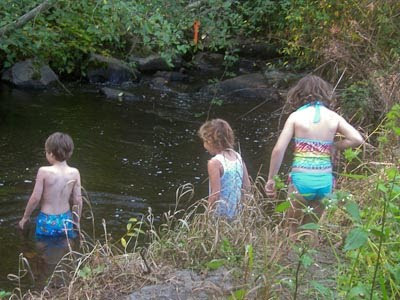 In the waning days of late summer, intrepid young students braved the creek water, which is much cooler than it was during the summer. Their tolerance for cold water is truly impressive. 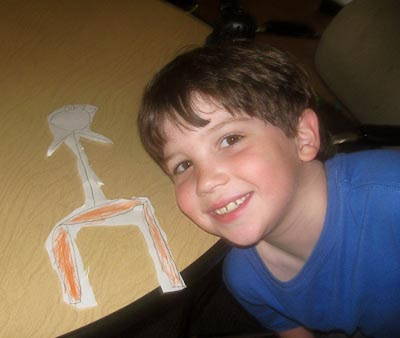 To see more photos and snippets of the first weeks of school, click on the link below. A Magic game in full swing. 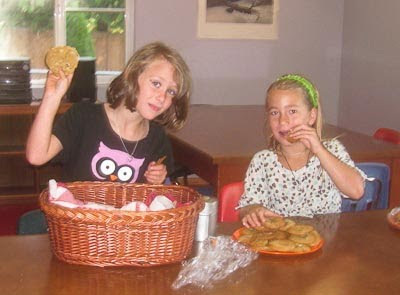 Selling delicious homemade chocolate chip cookies to benefit equally the school and themselves. 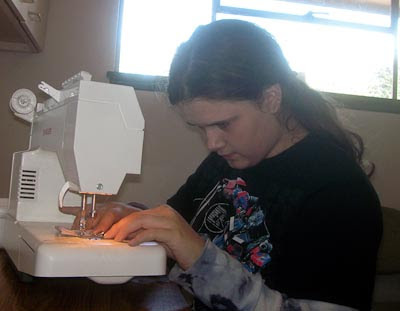 Working on a sewing project. 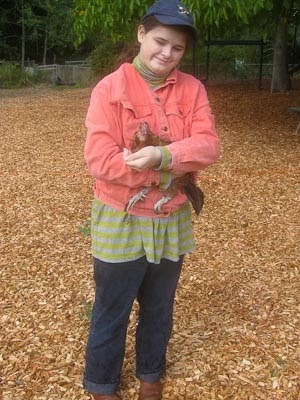 Caring for a lame hen.